and it still wasn't on Twitter. As Program Director, I took over brand voice for The Young Writers Workshop at the University of Virginia, the nation’s flagship residential program for teenage creative writers. I also spent every summer of the last decade supervising 200 teenagers. I developed, concepted and wrote all copy for The Young Writers Workshop's alumni outreach and social media channels. Campaigns included monthly alumni newsletters, national and regional alumni Facebook groups and a program Facebook page, robust presence on Twitter and Instagram, annual fundraising campaigns, and a four-day 35th Anniversary Reunion & Conference. 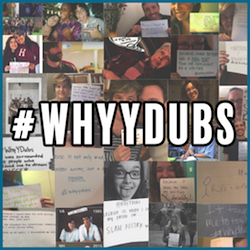 For 30 days, alumni all over the globe took to social media to share their love of The Young Writers Workshop ("YDubs"), raising awareness for the program's year-end fundraising initiative. In May 2016, YDubs alumni reunited for four days of panels, workshops, readings, performances, and more. The Reunion & Conference engaged hundreds of alumni, marking an important milestone in the program's history and securing support for its future.